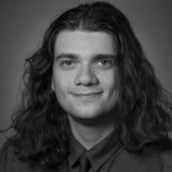 I am a computer science PhD student at MIT working at the intersection of systems security, cryptography, economics, and public policy. My overall goal is to make evil more expensive by developing new secure systems, crafting regulation, or otherwise imposing economic pressures on the bad guys. My research advisors are David Clark and Danny Weitzner, but I also hang around with Gerry Sussman, Hal Abelson, and Jeff Schiller in MIT CSAIL’s Internet Policy Research Initiative. Prior to joining MIT as a graduate student, I worked as research staff in MIT’s Lincoln Laboratory’s Cyber Security and Information Sciences division. There I worked on research projects relating to operating systems security, malware analysis, reverse engineering, distributed systems, and vulnerability discovery.